The New York City Landmarks Preservation Commission has given its blessing to ODA‘s jewel-like faceted facade for a factory-to-condo conversion on the Dumbo waterfront. The firm first presented its plans for 10 Jay Street last month, and while it was well received, commissioners didn’t think the dramatic, glassy design was a perfect fit for the historic neighborhood. So the firm took that into account and added more steel and brick elements into its design. And with that—permission was granted. 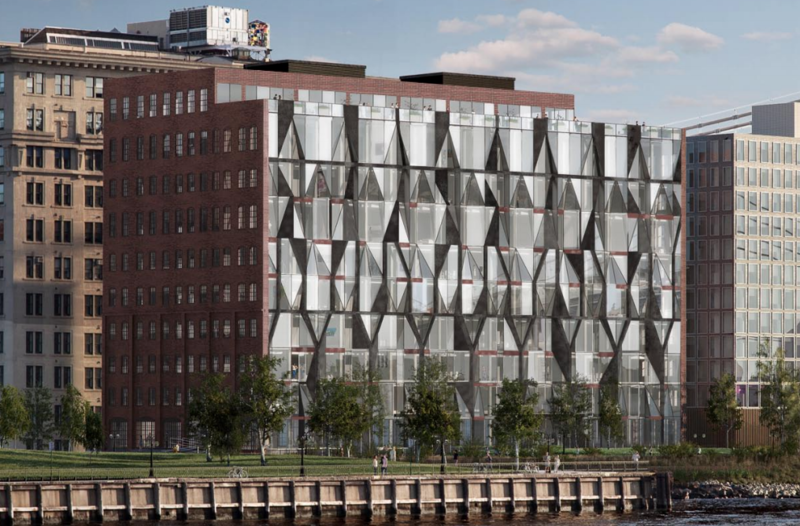 Curbed reported that the sugar crystal-design of the facade was inspired by the building’s history as a sugar refinery. 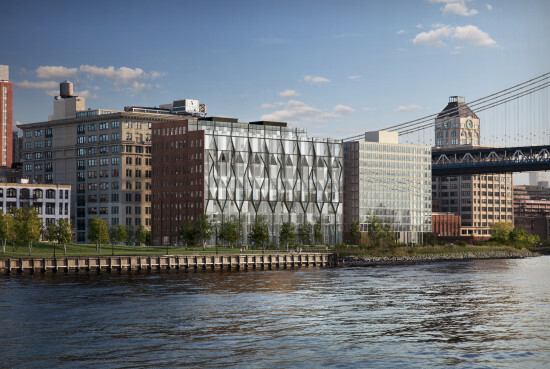 The commission had previously approved ODA’s plans to restore the building’s other three sides. Check out the fly-through below to get a better sense of the design—albeit, the earlier version of the design. According to the Real Deal, demolition is slated to start May 1 and completion is planned for Fall 2016.